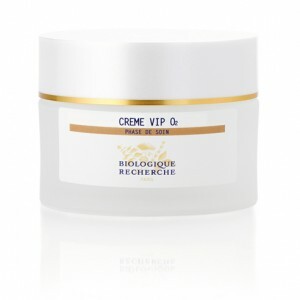 The Crème VIP O2 is the perfect anti-pollution, anti-ageing, oxygenating cream for immediate revitalised and healthy skin. This cream contains a combination of active ingredients to hydrate and oxygenate the epidermis; the revolutionary Specific BR Oxygenating Complex helps to brighten, the Cellular oligopeptide of Mink regenerates and the Hyaluronic Acid moisturises. This cream is best suited to tired, devitalised Skin Instants®, in particular city workers, smokers, sluggish skins. Tired and/or devitalised Skin Instants®. Oxygenating agent: Specific BR Oxygenating Complex. Regenerating agent: Cellular Oligopeptide. Moisturizing and antioxidant agent: Hyaluronic Acid. Softening agent: Silk Extract.